McGregor can talk the talk, but can he walk the walk against Khabib? "One thing you can be sure of however, is that it will either end in a brutal knock out victory for McGregor in the first two rounds or it will be a long drawn out contest which will involve Khabib wrestling the life out of McGregor and finishing him in the championship rounds." The wait is over. The world is watching. It has been sold as "the biggest event in UFC history" and it will be tough to argue with that statement. In one corner, you have the greatest star the sport has ever seen in Conor McGregor. On the other, you have an undefeated fighter who has never lost a single round in his professional career in Khabib Nurmagomedov. It is set to be the biggest ever Exchange market for an MMA fight, with £600,000 already matched on the fight result (the record is £965k for McGregor v Diaz at UFC 202). 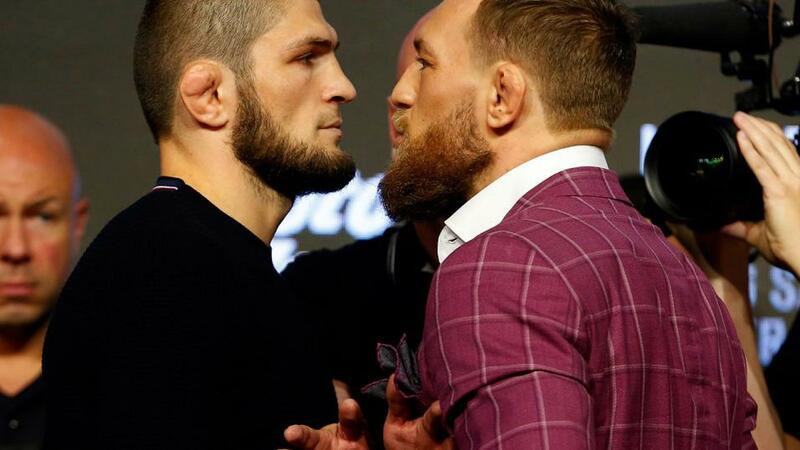 This grudge match has been brewing for the last few years as the pair have been throwing insults back and forth, leading to the infamous dolly incident at UFC 223 in Brooklyn, which Dana White has labelled as the "most disgusting act he has ever seen" when Conor McGregor threw a dolly through the bus window that Khabib was sitting in while preparing for his Lightweight title bout with Al Iaquinta. It's easy to get caught up in all the drama that comes with a McGregor bout, but let's not forget that this is a contest between two of the very best Mixed Martial Artists in the world. McGregor will have the chance to do what no one else has done in beating the undefeated Russian, while Khabib will get the fight he wants to prove he is the king of the Lightweight division. As the saying goes, every fight starts on the feet and that's where Conor McGregor would ideally like to keep this fight. His speed, power and movement could prove too much for Khabib as McGregor has proved time and time again throughout his career that he is more than just talk, beating the likes of Chad Mendes, Jose Aldo, Nate Diaz and Eddie Alvarez. Khabib, on the other hand, pushes the pace from the very first bell with the plan being to take his opponent down as quickly as possible and unleash his devastating ground and pound. Khabib is undefeated at 26-0 and, while the argument is there that he has not faced the same level of opponents as McGregor, he has won all his fights in the UFC with ease. He is relentless on the ground, smothering his opponents until they mentally give up and he cruises to victory. In a nutshell, this fight is extremely tough to call. One thing you can be sure of however, is that it will either end in a brutal knock out victory for McGregor in the first two rounds or it will be a long drawn out contest which will involve Khabib wrestling the life out of McGregor and finishing him in the championship rounds. I am siding with the latter here. Khabib has been saying in various interviews that he plans on making McGregor tired and humble, and that is what I expect. McGregor's stamina has come into question from his infamous loss to Nate Diaz at UFC196 to when he stepped in to the boxing ring against Floyd Mayweather which is not what you want when you are planning on stepping into the Octagon against Khabib who seemingly does not get tired. Khabib is the favourite at [1.63] at the time of writing but if you are planning on having a bet, he is likely to drift as the contest approaches with recreational punters betting on McGregor on the back of Media Day on Wednesday and the Weigh-In on Friday. Take [1.8] or better on Khabib. In other markets that may be of interest, [18.5] is available on Khabib winning in Round Four which is well worth a bet. Potentially the biggest fight in #UFC history. Our tailor, @louis_copeland opened his doors to MMA journalist @JohnBalfe & https://t.co/bLxK0WecQ8's @GavanCasey to give us The Tale Of The Tape. Mayweather v McGregor: What's next for the Money Man and the Notorious One?